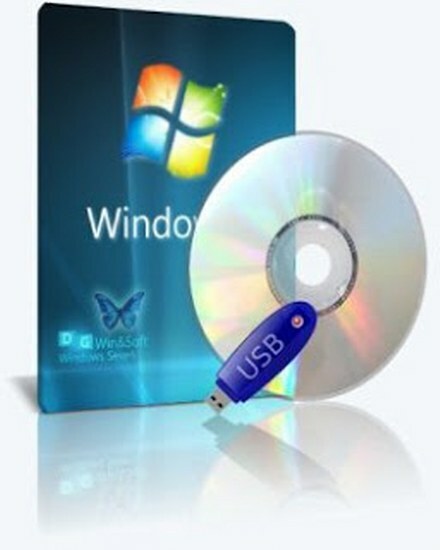 DG Win & Soft adheres to the idea that it is necessary to put the system using the original images.But, as a complete set of relevant editions of Windows 7 in multiple languages takes a lot of space, then in order to save disk space, it was decided to use standard tools (Windows Automated Installation Kit for Windows 7 and Windows Server 2008 R2) and a universal (containing different version of Windows 7) with images in them integirovannymi the latest version of Internet Explorer, language packs and updates. After installation, you will have the original version of Windows 7 (changed only the background image "default", see the screenshots) to officially go out all the critical and recommended updates as of 19.05.2013. The idea of combining the different architectures in a way we discarded because only when you create two different images (individually and separately x86 x64) we do not lose the opportunity to use System Restore from the installation disk for one of the architectures without using third-party download managers. All wording can be set to English, Russian or Ukrainian interface, while immediately integrates two additional languages in the Ultimate edition is the opportunity for them to switch by regular means.